Perfume.com offers 13% off sitewide sale via code "NEWYEAR2013". Perfume.com offers 20% off via code "BESTPERFUMEDEAL". Deal expires on Dec 18th. Perfume.com offers Extra 15% OFF on Eye Products via code SKINCARE. 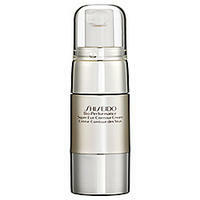 Brand includes Sisley, Shiseido,Orlane, La Prairie, Clarins, Elizabeth Arden, Dermalogica, Klein Becker,Joan Rivers, etc. Deal expires September 4, 2012. Perfume.com offers Up to 50% OFF via code SUMWEEKEND15. Perfume.com offers Up to 85% OFF Perfume. Free shipping on orders of $65+. Enter Coupon Code: MOM at checkout.